According to DxOMark, the best portrait lens tested on Canon 5D Mark III is the Sigma 85mm f/1.4 EX DG HSM lens, this lens is even better than Canon and Zeiss lenses. The EF 100mm f/2 USM lens is another good portrait lens for a very cheap price. Remember official Portrait of President Obama is taken with the 85mm f/1.2L USM lens. Best Portrait lens for Nikon DSLRs is the AF-S Nikkor 85mm f/1.4G lens, and the f/1.8 version has the same score, but much cheaper, only for $500. 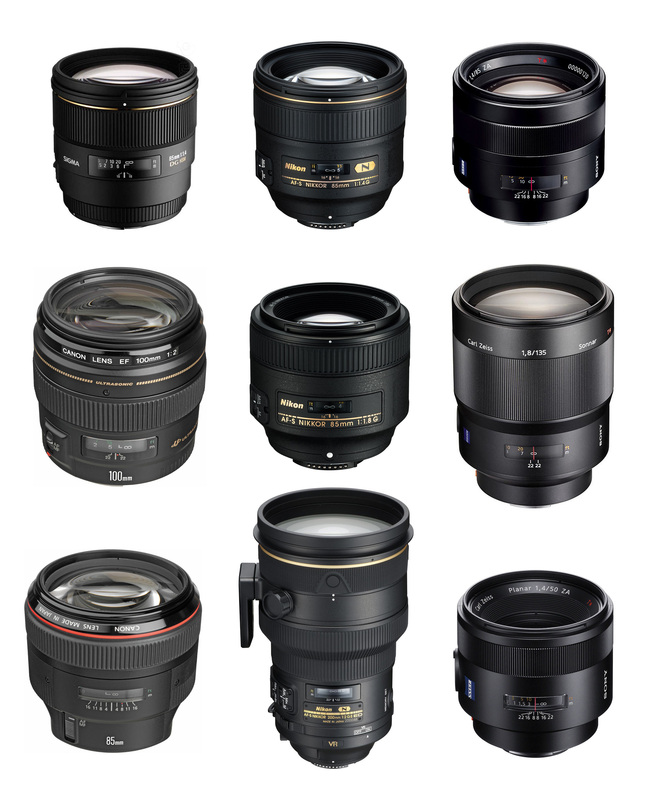 Of course the AF-S Nikkor 200mm f/2G ED VR II is a super good portrait lens, but the price is very expensive. For Nikon DX DSLRs, the best choice is AF-S DX Micro-Nikkor 40mm f/2.8G, only $277. The Sony 85mm f/1.4 Zeiss Plannar T* lens and 135mm f/1.8 Zeiss T* are the best Sony Portrait lenses. For a cheap price, the Sigma 50mm f/1.4 EX DG HSM lens is another good choice. Previous Previous post: Sigma is counting down for a new “revolution” product ? Next Next post: Rumors: Sony camera announcement within 2 weeks ?